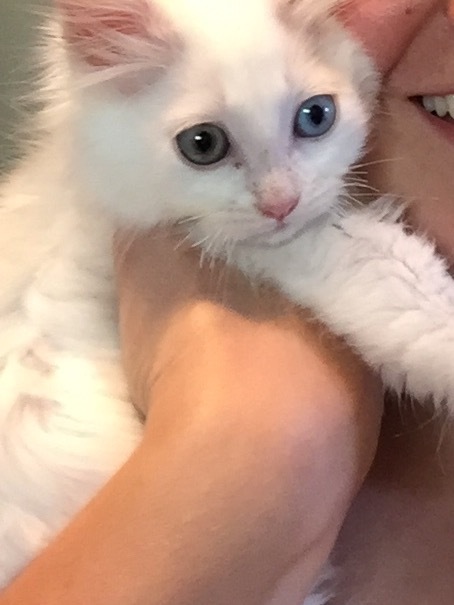 Gorgeous Kittens available now for adoption! | r.a.i.n. 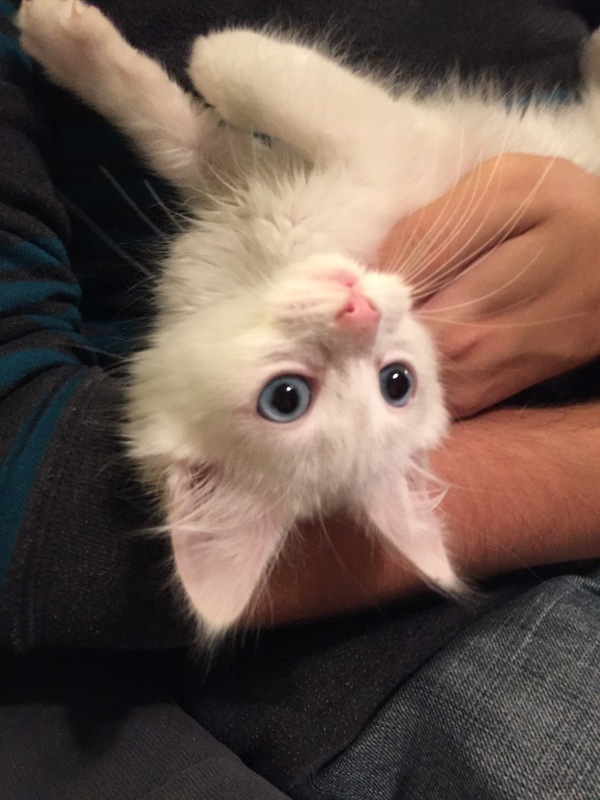 Gorgeous Kittens available now for adoption! 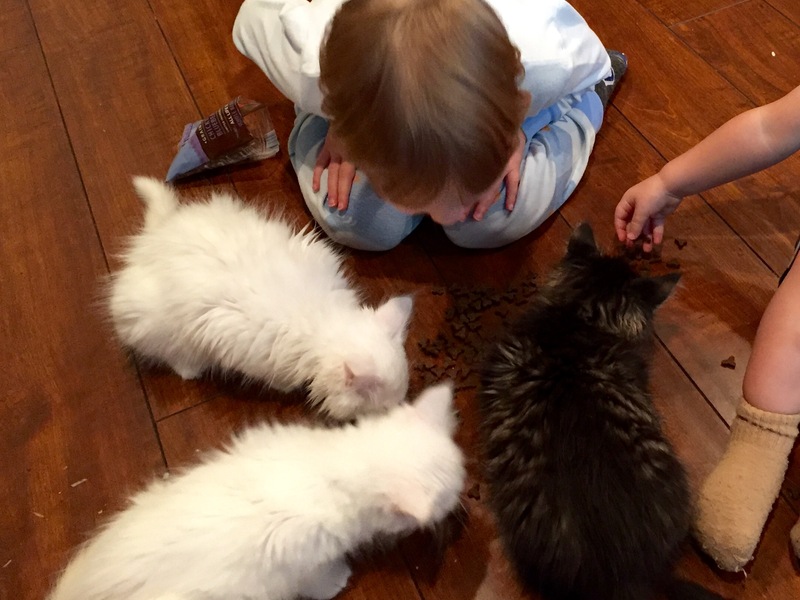 We have three absolutely adorable kittens ready for their forever homes now! 2 white females, 1 tabby male. Approximately 14 weeks old. LOTS of exposure to children and moody adult cats. 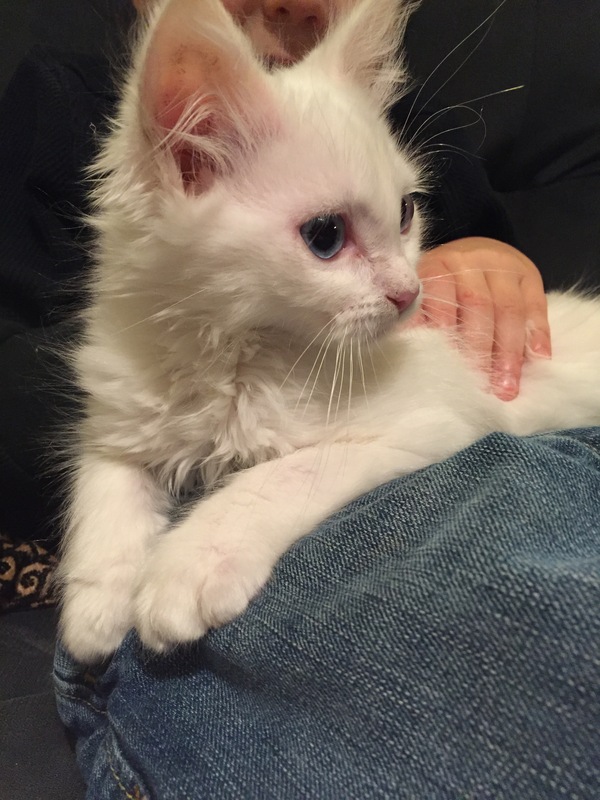 Luna (SF): Spunky, adventurous, and affectionate white kitten. She is the smallest but most lively of her litter. 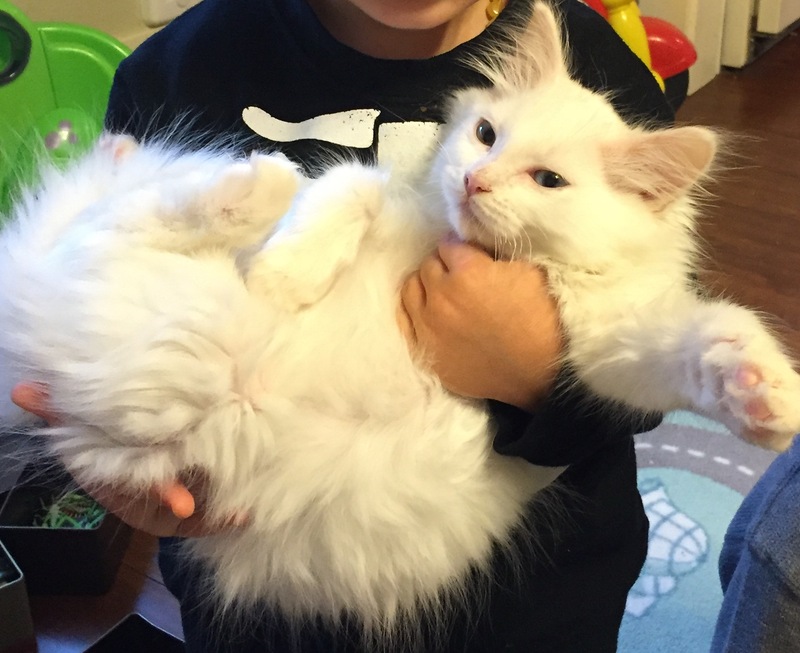 LOVES small children and is very happy to be picked up and carried around by small hands. 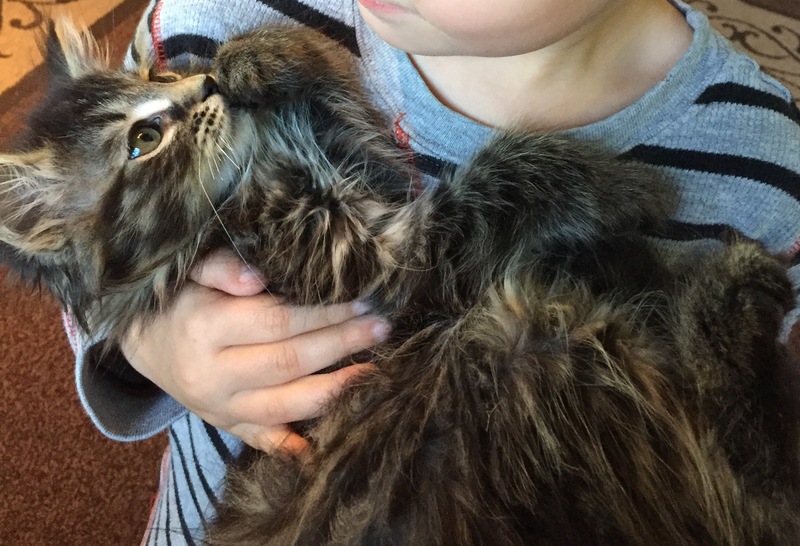 Purrs almost instantaneously when picked up, held, or pet. One pupil constricts to a triangle. Suspected to be deaf (very common in white cats). Great for being around children, but not for being outside. 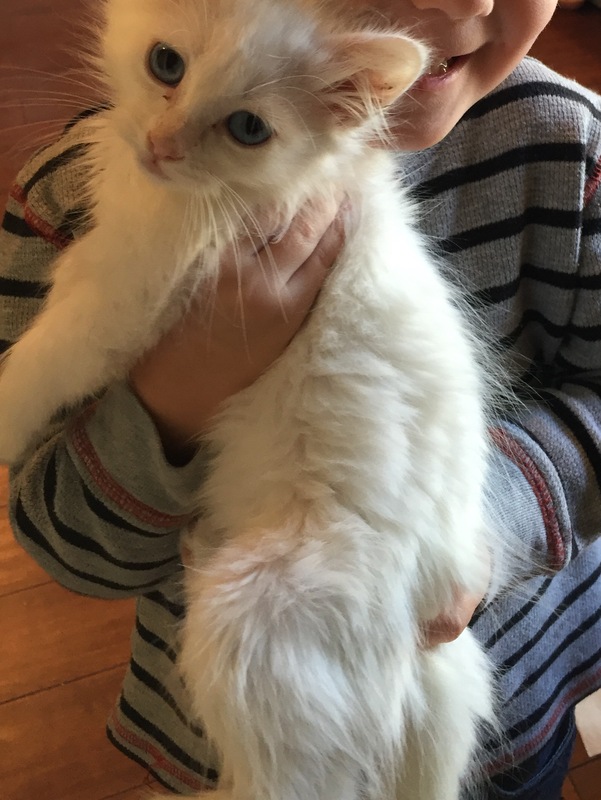 Elinor (SF): Sweet, outgoing, and playful white kitten. 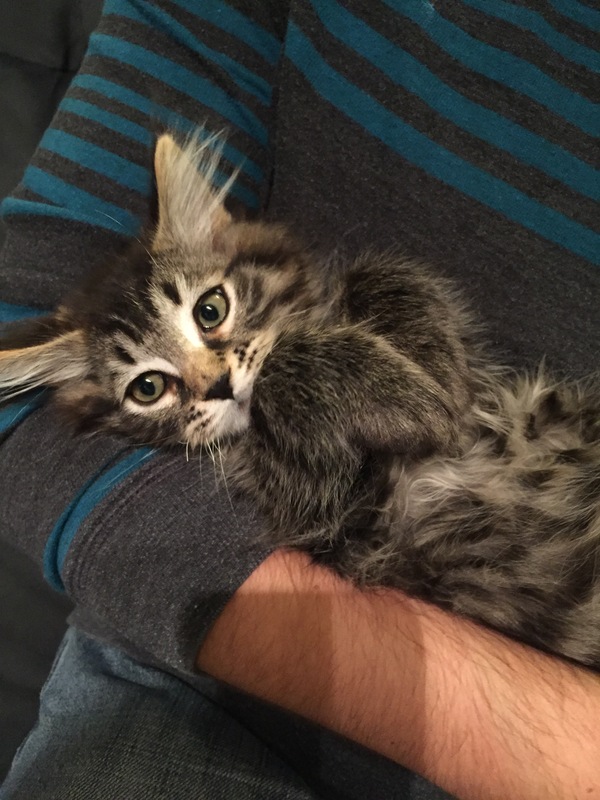 Beautiful medium haired kitten loves to play and snuggle! Loves toys and pouncing her siblings. Fearless! 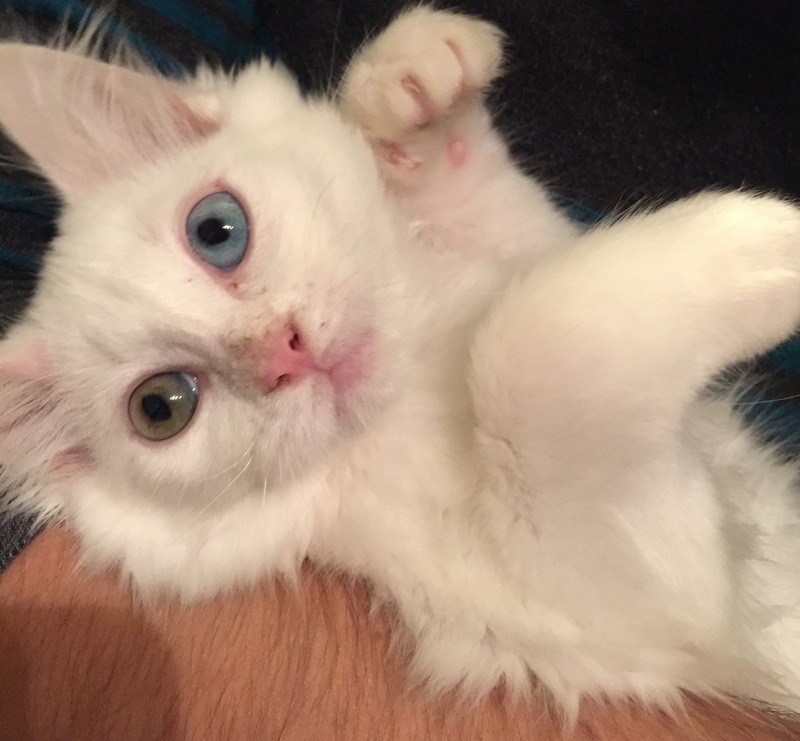 Super striking Heterochromia Iridim (different colored eyes). One eye is blue, the other is hazel. Suspected to be deaf (very common in white cats). Ideal for being around children, but not for being outside. 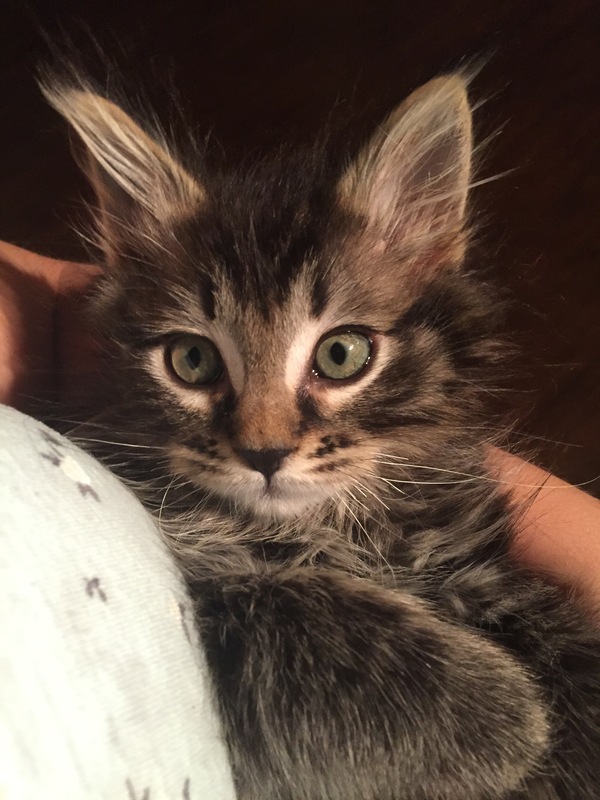 Joey (NM): Goofy, affectionate, and friendly dark brown/black mc tabby kitten. SO FLUFFY! This guy is happy to snuggle and ready to play. LOVES sitting in laps and being lavished with pets. Strong & happy purr. Enjoys exploring and sneaking up on his deaf sisters. These sweet babies have been in foster care since they were 6 weeks old, have had their 2 booster kitten vaccines, de flea’d de wormed and microchipped. They are also spayed and neutered and ready for their forever homes now. Please contact info@rescuinganimalsinneed-wa.org for more info on the kittens. Adopt fee is $125 per kitten. Mr. Pickles is 5.5 lbs, a tiny little love bug waiting patiently for a home to call his own. Update! Our new online Dog adoption form is ready! Follow RAIN to receive email messages when new pets are added! This site was developed by students from Central Washington University.